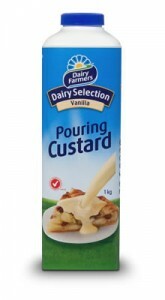 Almost 3.2 million Australians aged over 14 years ate a packaged dairy dessert such as a custard, mousse, chocolate pudding, creamy rice or fruity whip in an average four weeks in 2014—but maybe not necessarily for dessert. 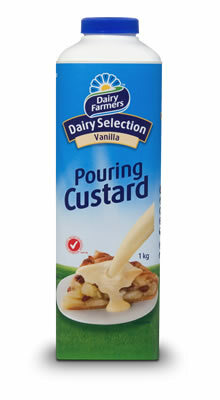 According to findings from market research organisation Roy Morgan Research, Dairy Farmers Custard was one of the most popular products across all age groups, eaten by around 1 in 25 Australians in an average four weeks. However, Roy Morgan Research found that Australian consumers’ taste for other ready-to-gobble dairy treats on the market changed with age. “With so many dairy dessert snack options on supermarket shelves, including an increasing array of smaller niche products, brands must differentiate themselves by pinpointing who eats them, how often, and who is their household’s main grocery buyer,” said Angela Smith, Group Account Director Consumer Products, Roy Morgan Research. Frûche was the only other product to make the top five across all ages, rising with age to peak at number two among the 50+ age group. Conversely, the YoGo range and Nestlé Milo were most popular products among the Under 25s, but declined—and fell out of the top five altogether—as we get older. Nestlé Mousse jumped from nowhere to be the top pick among 25-34 year-olds but was replaced at the top by Dairy Farmers Custard in both groups over 35. Only among the Over 50s did Yoplait Le Rice and Divine Classic Crème Caramel make an appearance. “Supermarket brands have made less of an impact than we have seen in other categories, coming in at number five among the 35-49 year-old group and number four among 14-24 year-olds,” Ms Smith said. $4.1 billion market for cannabis-infused edibles, could Australia join Canada and the US on THC?